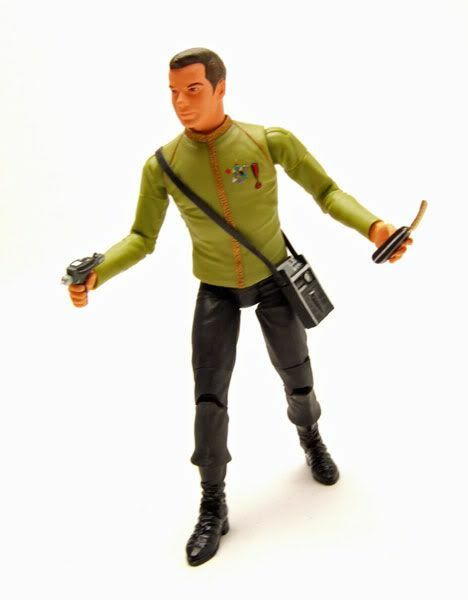 "Dress Uniform" Kirk was released in a "Space Seed" figure 2-pack with the gold-shirted Khan. 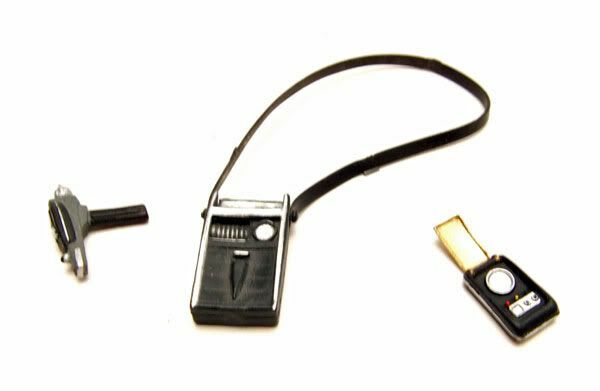 The Rundown: Diamond Select really put some actual effort into this 2 pack. 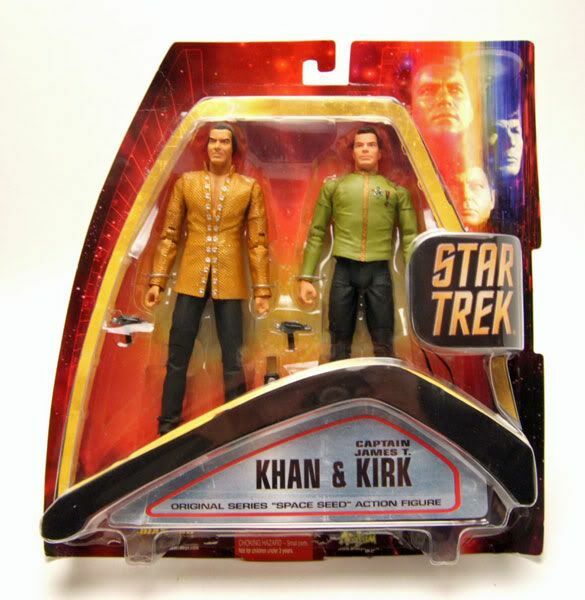 Nowadays, a "Space Seed" inspired 2-pack from them would probably consist of another rerelease of yellow shirt Kirk and a red federation uniformed Khan recreating the "interrogation" scene in Khan's quarters; minimal effort and no new tooling cost. But this pack thankfully came out relatively early into Diamond Select's handling of the license, and as such it shows some real effort went into to making it nice. 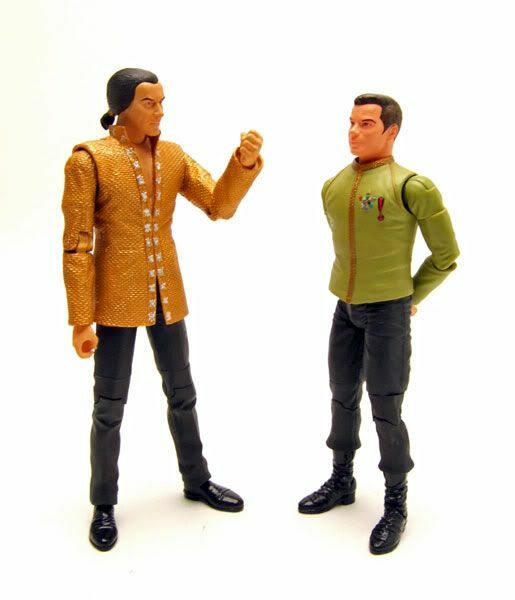 You get the awesome gold-shirted Khan, and a pretty darn decent "Dress Uniform" Kirk! 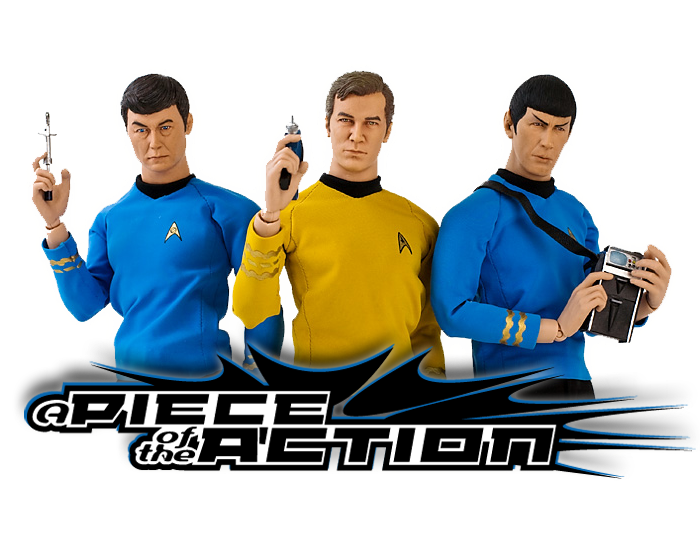 So the body is for the most part a reuse...standard Art Asylum-style articulation, which as always is pretty great. 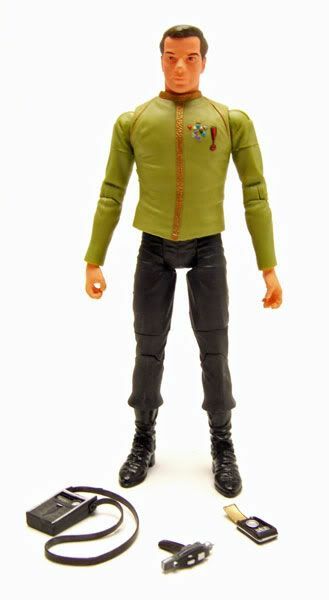 The rubber shirt is here again, but at least it is a new dress uniform mold! The original Art Asylum head gets a new paint job here. It's much pinker than the all of the AA releases. I think I prefer this paint job to AA's, but your mileage may vary. Here's a closer look at the attention to detail that was put into the shirt sculpt. 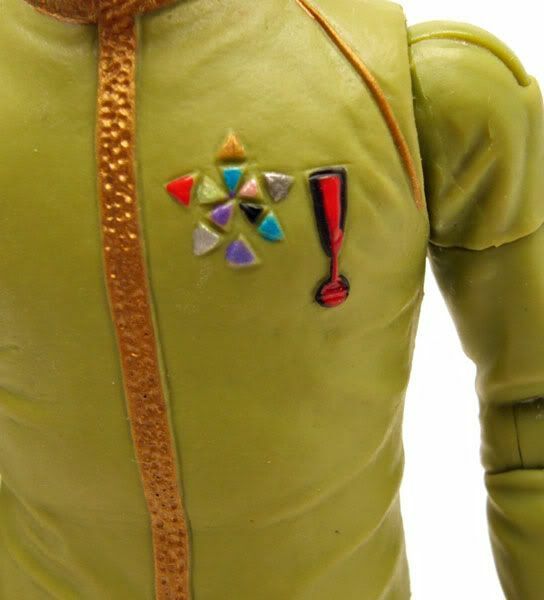 The medals are all individually sculpted, and the gold trim of the shirt is textured. Nice job on this one! 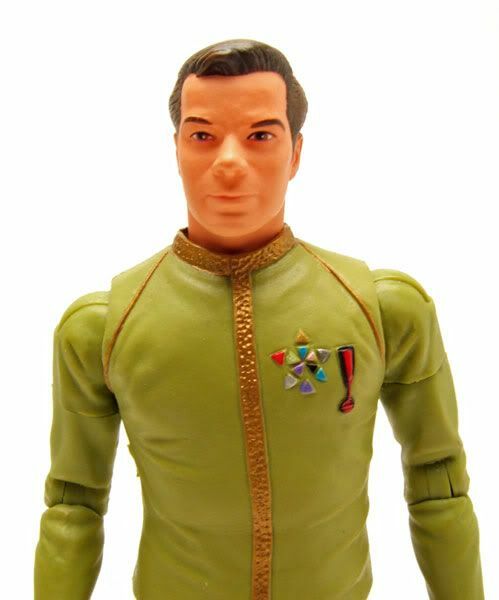 The shirt may ride a little high on the neck, but I can overlook that based on how nice the sculpt turned out. 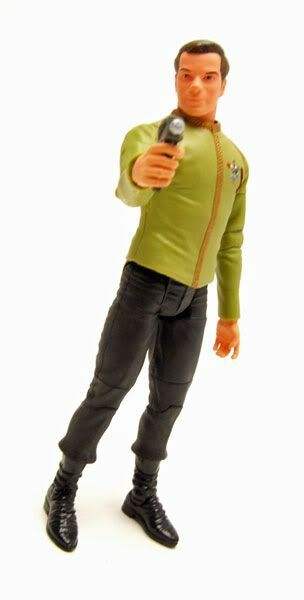 Accessories: Kirk comes with a phaser, a communicator, and a tricorder...none of which he used while wearing this outfit, but I can't fault them for including some extra stuff with him! And here's a shot of the 2 together...what a great pack! And you can get this one pretty cheap now, so I highly recommend snagging it!